So I'm taking an overseas trip soon, and I'm faced with LONG hours in a plane with little to do - really, no movies at all?! 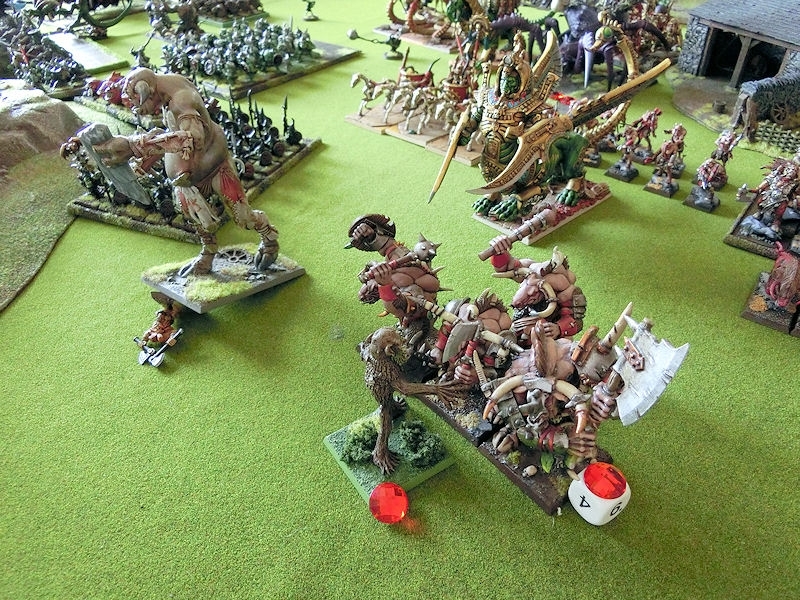 Since Euan is quite happy playing full Warhammer games these days, I wondered if it would be possible to make a carry-around version of warhammer for us to play on the plane etc. 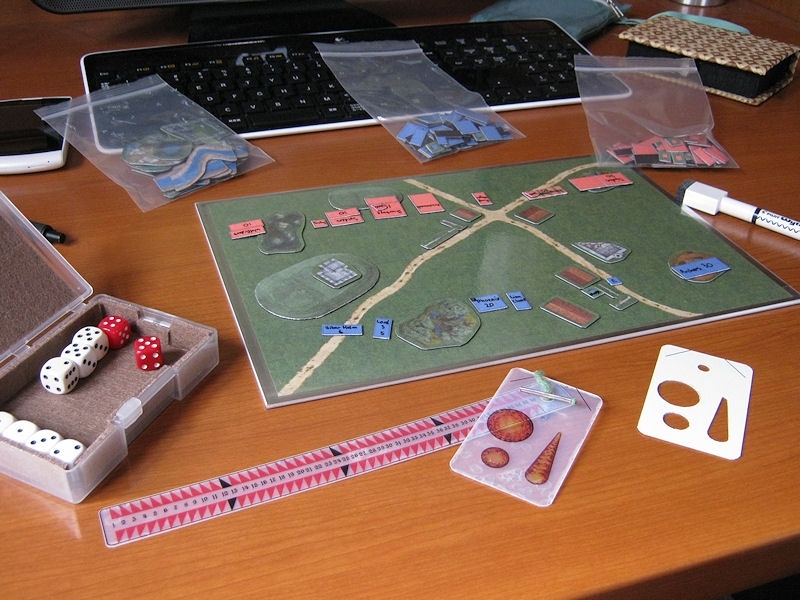 It uses simple scaled-down magnetic cards instead of the normal cases of models, and is played on an A4 sized battlefield. I managed to get everything into a zip folder at about 300g, so the only thing extra you'll need are some army lists! 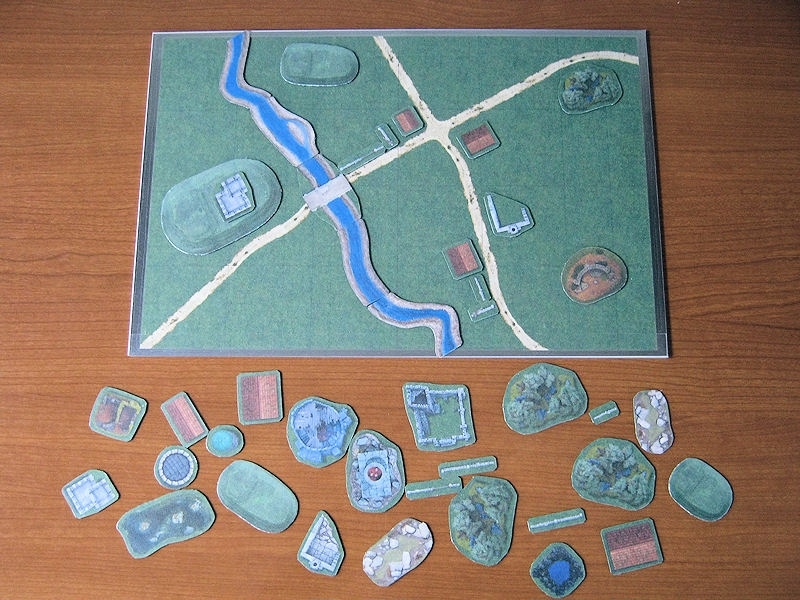 Thanks to this handy free BattleChronicler software I found online, I was able to create some very real looking maps and terrain counters. I've assembled everything in the PDF file (link below), so all you need to do is print the pages you need onto label/sticker paper. Rather a no-brainer, this... 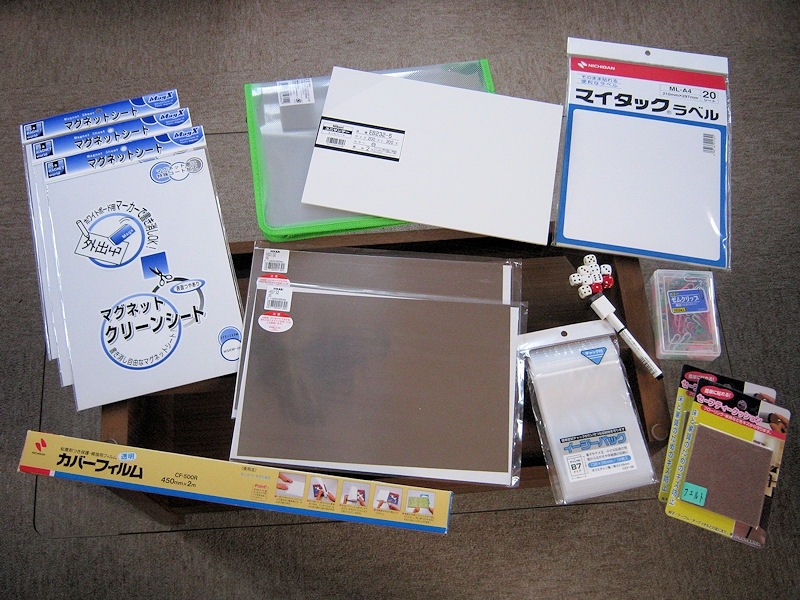 I cut some felt sticker sheet to fit inside a small paper-clip plastic box. 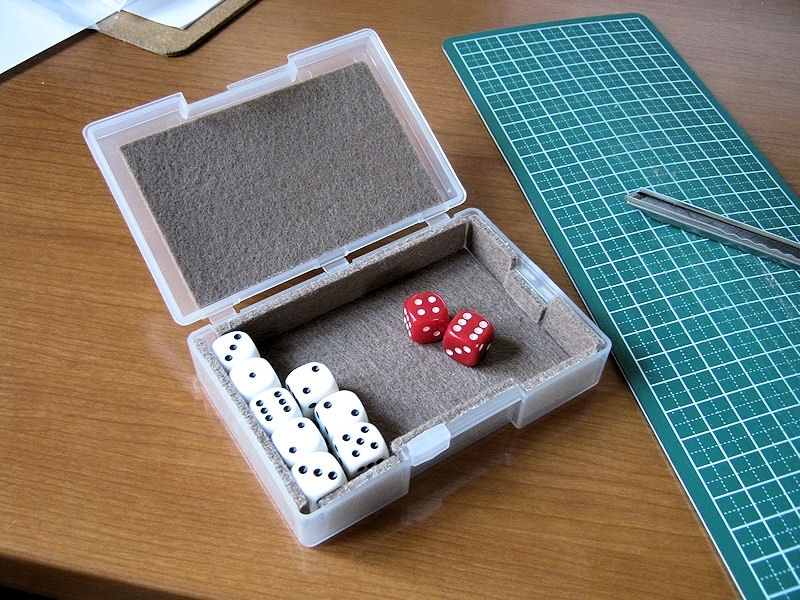 This would make a handy storage case for the 10 dice (and artillery/scatter dice), and would also muffle the sound of dice rolling so as not to annoy other bored passengers! I printed two battlefields (for variation) onto A4 sticker sheets and stuck one on to each steel sheet. There are 3 versions in the PDF, so choose whatever you like - roads, valley or blank. Then I simply cut off the unwanted edges of paper, and stuck the metal sheets to each side of the acrylic sheet using double sided tape. To finish the board I covered both sides with clear tape sheet, so it would be protected from dirt and also smooth the sharp metal edges. Next job was to print out the terrain counter page, again onto A4 sticker sheet, and stick that onto one of the magnet sheets. 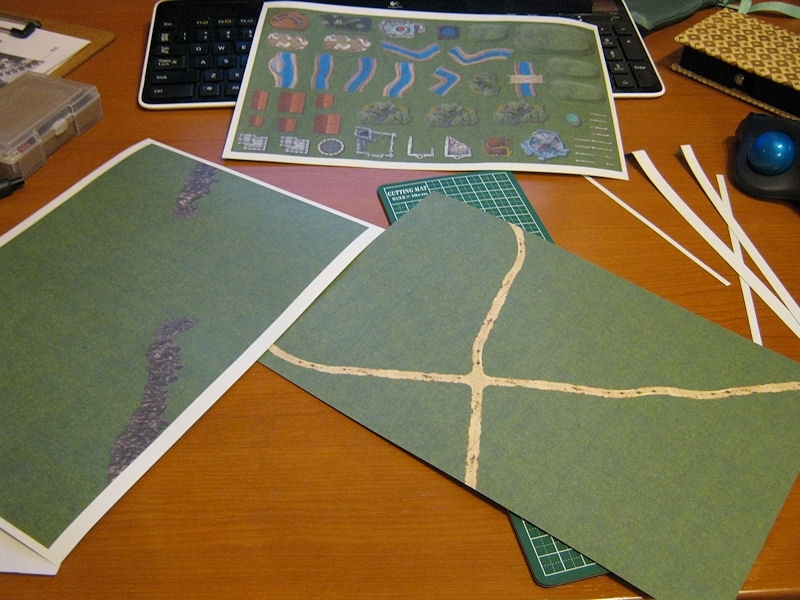 Then I simply cut around each terrain feature, leaving a couple of millimeters around building, walls etc. 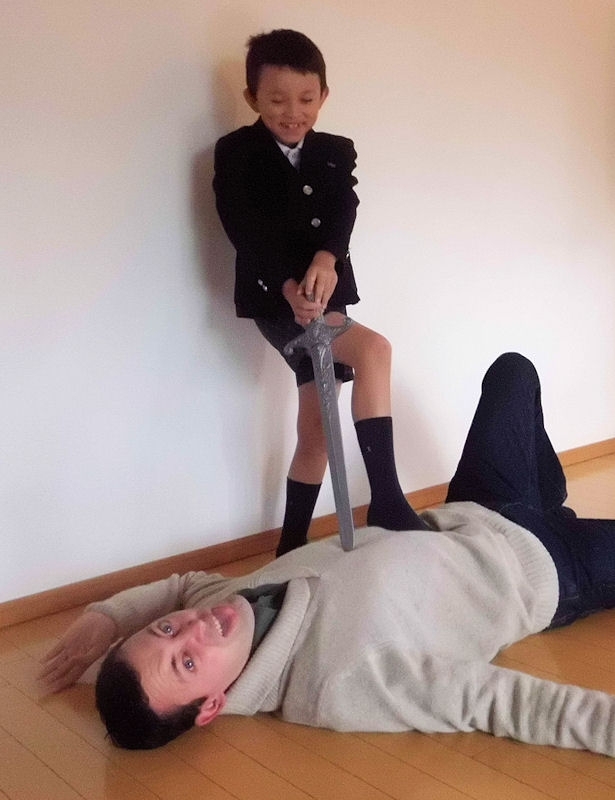 Bit tedious, this bit! With the board and terrain finished, it was time to work out the scales for the most commonly-used unit sizes, and make a page of those. Thankfully, you can just print the PDF page - lucky you. 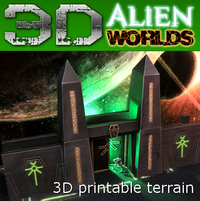 Print onto another sticker sheet, and stick that (like the terrain) onto a second magnetic sheet. Before you cut them out, however, you will need to cover the whole sheet with clear tape sheet. This is very important, as it allows you to write on the unit name and number of models with the whiteboard marker, and then edit numbers during the game as you take casualties. 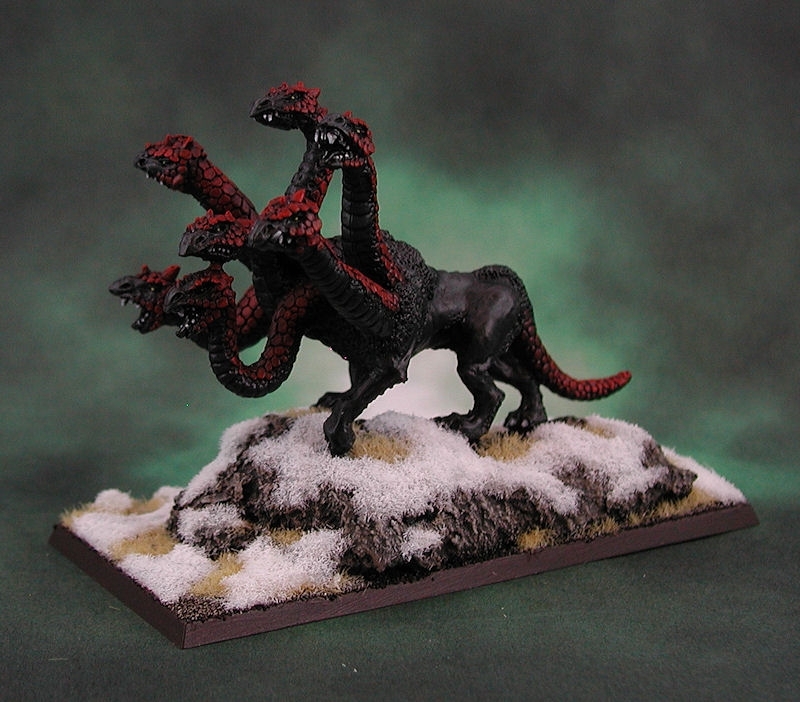 I tried these unit cards in a 1600 pt game, and they worked fine. You can mark heroes, battle standard bearers, etc. on each unit card. 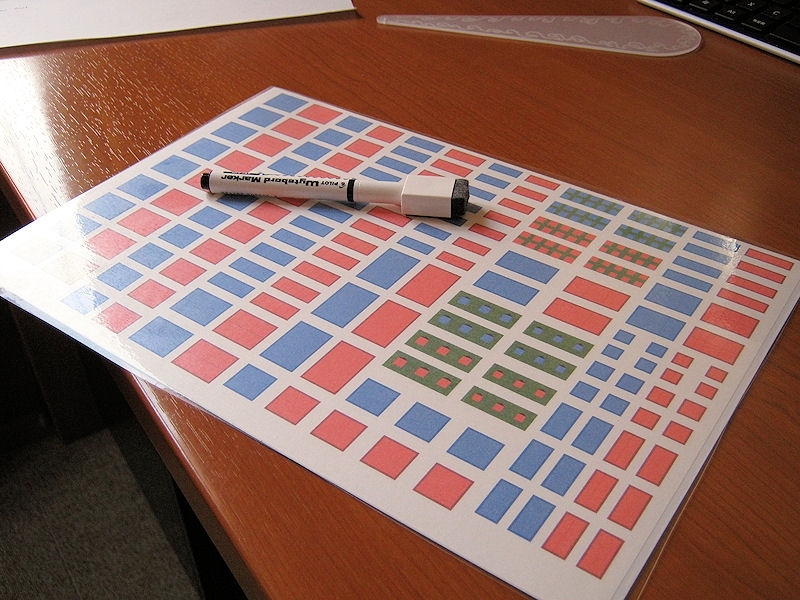 The last thing to do is print out the scaled-down ruler and templates onto a final sheet of sticker paper, and stick it on some thick card. With a cutter you can carefully remove the template shapes from the card (see the white template card, bottom right), which gives you a very accurate template. I went one step further and printed the rulers onto clear film sticker sheet, and stuck that to some 0.2mm clear plastic sheet. 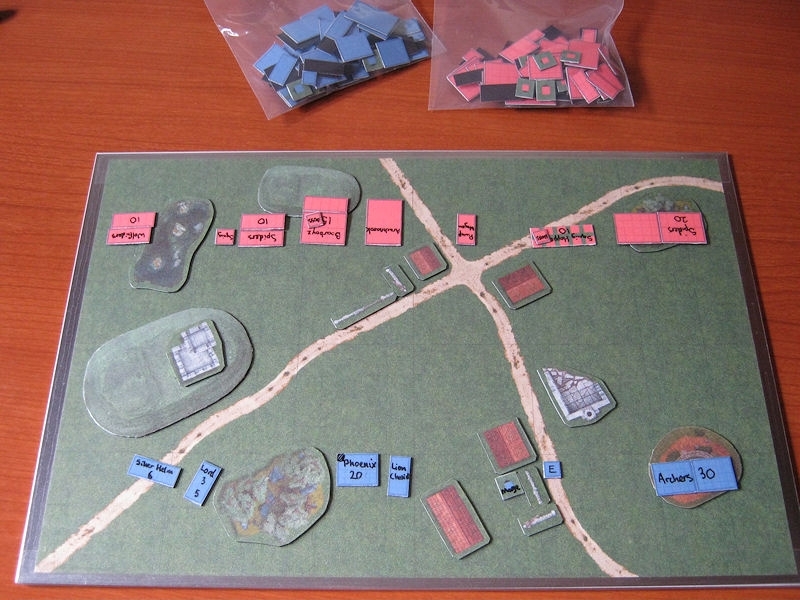 I also recommend punching a hole through the end of the ruler and template card, and linking them together - much harder to misplace in the heat of battle! PS. I recommend noting down the miscast table results on the back of the template card, for mid-game reference!